Voting for election of the 17th Lok Sabha has started and will be conducted in seven phases in all, concluding on May 19th. And yes, in this magnificent exercise in the world’s most populous democracy, it is crucial for every citizen to go out and vote. A high voter turnout puts the onus on elected representatives to discharge their duties and be held accountable for their action and inaction during their time in office. And yet, some of you may still be confused about the nitty gritty as well as the larger questions around the cast of your mandate. Here’s a quick guide from us that will answer most of your questions and empower you as a voter. How do I know if I can cast my vote? 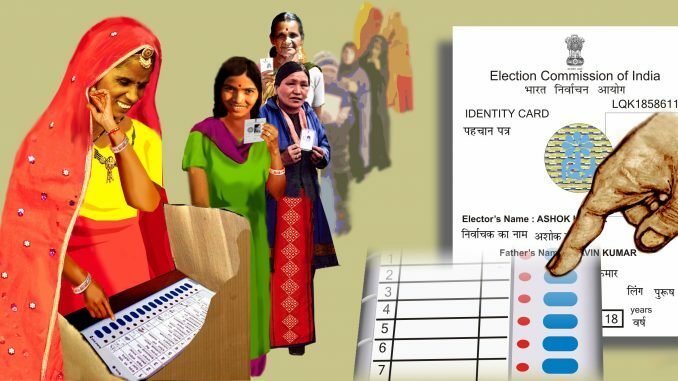 Your name must be present in the electoral rolls for you to be able to cast your vote this elections. To check this, visit the National Voters’s Service Portal (https://www.nvsp.in). 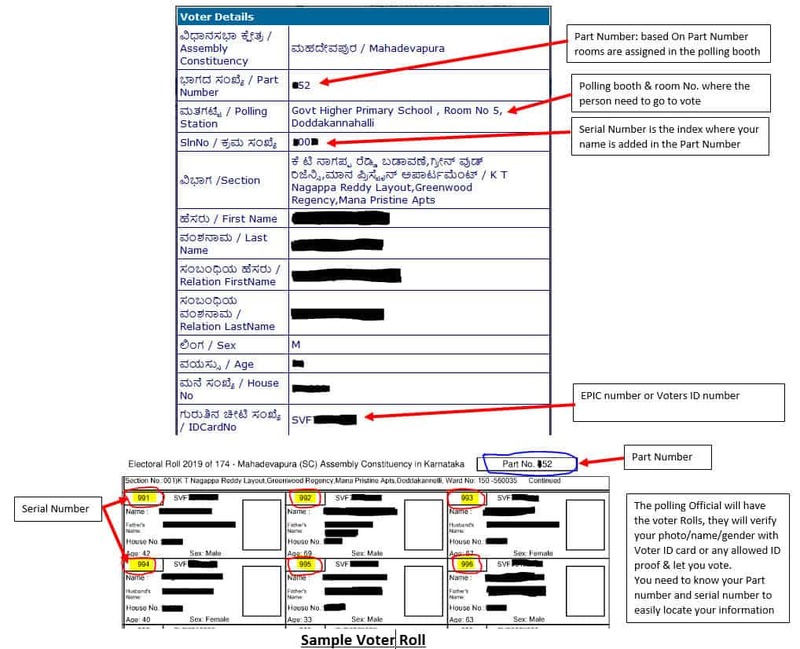 Using the Elector’s Photo Identity Card (EPIC) number on your voter ID card, you can search for your name on the rolls. If you do not possess a Voter ID card, you can search by name. Once you locate your name on the rolls, ensure that you note down the booth address, part number and serial number. Another way to find out if your name is on the electoral rolls is by calling the helpline 1950. If you do not find your name on the electoral rolls, it may not be too late just yet. Here are the last dates to register as a voter in some of the major cities. Follow the post to fill out Form 6 to register as a voter if the last date has not passed and you may still be able to exercise your right to vote. How do I locate my Parliamentary Constituency and polling booth? You can use open source tools such as https://www.electionmap.in/ to be able to find out more details about your constituency. You will be able to locate your Parliamentary constituency and the location of the polling booth by looking up your name on https://electoralsearch.in/. Alternatively, you can also locate your polling booth by sending SMS. Type EPIC, followed by a space and your voter ID number and send it to 51969 or 166. You will receive a message with details of your polling booth within a few minutes. How do I know who’s contesting from my constituency? A prudent voter must do thorough research on the candidates contesting in their constituency to make an informed decision. A full list of candidates contesting in the elections is available on the website of the respective state election commissions. The list will provide access to the affidavits submitted by the candidates that will provide details about criminal cases against them, their assets, education and occupation. Check out our special election coverage for periodic updates and information on key urban constituencies and the candidates contesting in these. 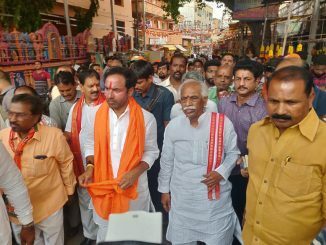 Websites such as http://www.myneta.info/ and https://www.prsindia.org/mptrack also provide a wealth of information on prospective candidates and incumbents who may be up for re-election. If you are confused about how to choose a candidate to vote for, here is a handy guide from us on how to judge an MP candidate. Can I still vote if I do not have a Voter ID card? You will be able to cast your vote as long as your name is present in the electoral rolls. If you do not possess a Voter ID , other forms of photo ID are accepted. The following are the accepted IDs by the Election Commission. Overseas voters must carry their original passport for identification as other documents are not accepted. Carrying any of the above should be sufficient so long as you are already registered to vote. What is the process inside the polling station? As Voter Verifiable Paper Audit Trail (VVPAT) machines will be in use this elections, the voter can verify if their vote has indeed been recorded correctly. The voter will be able to see the name of the candidate for whom they have cast their vote on the VVPAT machine. 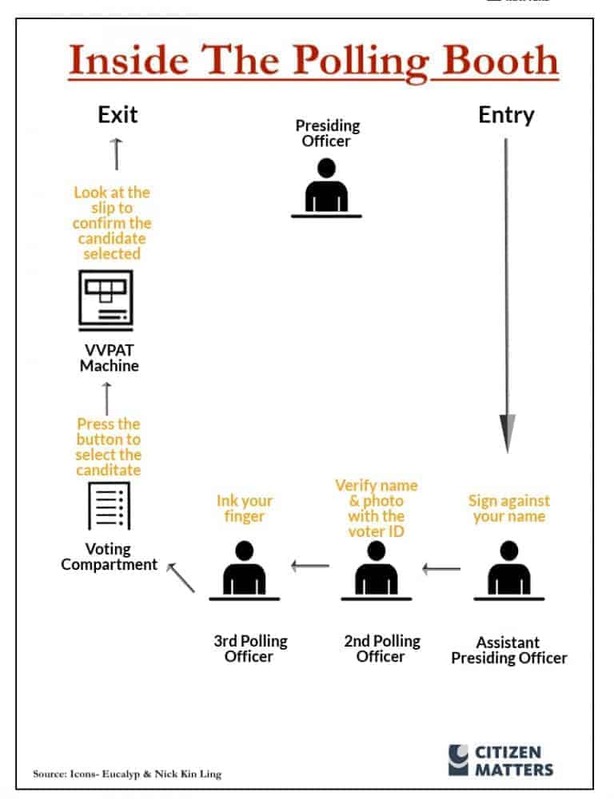 The screen of the VVPAT machine will show the vote cast for seven seconds before a slip is printed and dropped into the VVPAT’s collection box. 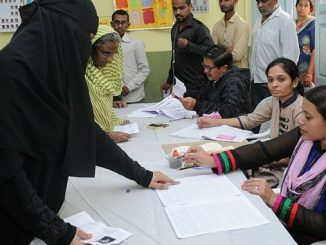 Most polling booths open at 7am and though the voting official closes at 6 pm, voting may continue in booths where a large number of voters are gathered or if the time is extended at the discretion of the presiding officer. I keep hearing about the Model Code of Conduct; what is this? The Model Code of Conduct is a set of guidelines issued by the Election Commission of India that are applicable to all contestants and parties. The rules laid down pertain to campaigning, speeches, rallies, polling day, polling booth and manifestos. The full set of guidelines can be accessed here. How can I report violations if I observe any? Violations can also be emailed to complaints@eci.gov.in. I have a family member settled abroad. Can she vote? Non-resident Indians are eligible to vote provided they hold a valid Indian passport and are of 18 years of age. They must register as an overseas voter to cast their vote. For more information follow our handy guide on NRI voting rights and procedure . There is a person with disability in my family. Can he vote in a regular booth? Voters with disabilities can vote in a regular booth. The Election Commission of India has assured minimum facilities in a polling booth that include signage, help desk, polling booths on the ground floor, ramp, braille ballot guide and braille EVMs, accessible restrooms and drinking water facilities. Additionally, voters with disabilities can pre-book wheelchairs and guides a day prior to polling day for assured availability of facilities. Some constituencies also offer transport facilities and separate parking space. We are very unhappy with the candidates fielded by parties in our constituency. If a majority of us vote NOTA, will they go for re-election? The NOTA (None Of The Above) option is used by voters to indicate their dissatisfaction with candidates in the fray in their constituency. However, at present, there is no provision for re-election even if NOTA gets the highest number of votes. The Representation of the People Act in its current form states that the election goes to the candidate “to whom the largest number of valid votes have been given.” This rule must be amended in order to conduct repolls, if NOTA gains more votes. Voting is crucial to form a government that is accountable to the people and acts in their best interests. It is our duty to exercise the right to vote and make informed choices.